Spooky legends about mysterious vessels that roam the seas with no one aboard have been told and retold by sailors for centuries, sparking both horror and fascination. From flying ghost ships to unexplained disappearances and boats manned by corpses, there has never been a shortage of eerie sea stories in our world. But legends aside, real deserted ships have often been found on the open ocean, floating aimlessly with no crew or warning lights, which means they can be quite dangerous for other vessels, especially when it is dark. One would easily think that with all the technological advancements, among them GPS systems that revolutionized boating, it’s impossible for a ship to simply disappear, but the story of the MV Lyubov Orlova, a Russian cruise ship, is here to prove that assumption wrong. This vessel, allegedly filled with cannibalistic rats, has been drifting across the North Atlantic for quite some time, after breaking loose from a tugboat back in January 2013. 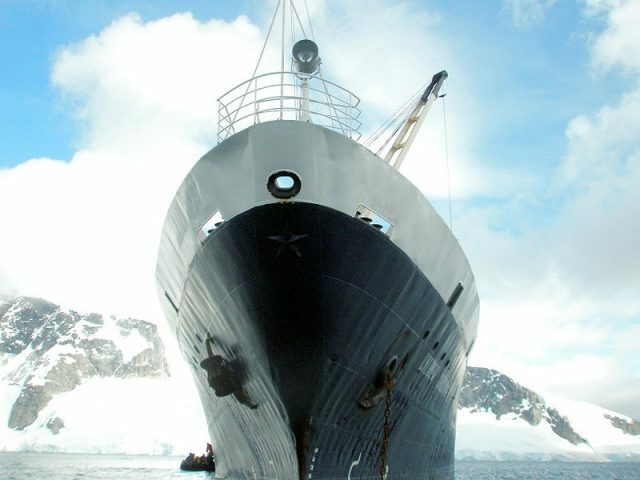 The story of Lyubov Orlova, named after a glamorous actress of Soviet cinema, began in 1976 when the boat was built in Yugoslavia for a Soviet-based company and served mainly for expeditions to Antarctica. However, Canadian authorities seized her at St. John’s Harbor in Newfoundland after it was proven that her owners were involved in a debt scandal. The ship has been labeled as dangerous by various experts, with some of them claiming that in a case of accidental spillage of toxic liquids and the non-degradable floating waste of the vessel, it could have a devastating impact on the environment. Others, among whom is the Irish Coast Guard director Chris Reynolds, believe that there are hundreds of disease-ridden rats on board and that, according to him, that alone is a biohazard. “We don’t want rats from foreign ships coming onto Irish soil. If it came and broke up on shore, I’m sure local people wouldn’t be very happy about it,” Mr. Reynolds told the Irish Independent. 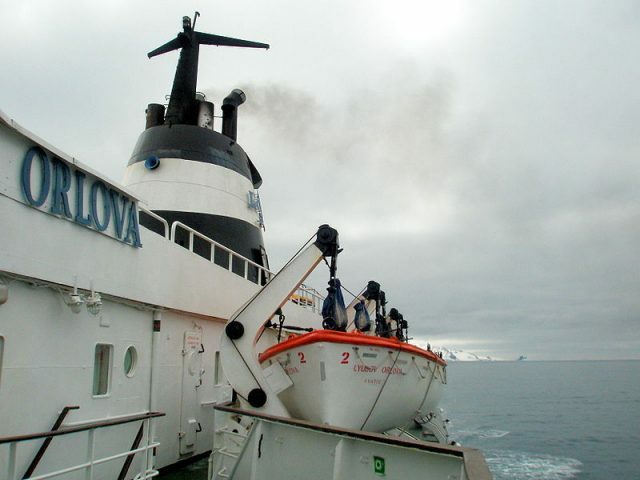 About nine days after the Lyubov Orlova left Canada’s shores, the ship was allegedly spotted by the Atlantic Hawk, an offshore tug/supply ship that successfully gained control of the drifting ship, but Transport Canada then ordered it be cut loose since it was in international waters. “The vessel has drifted into international waters, and given current patterns and predominant winds, it is very unlikely that the vessel will re-enter waters under Canadian jurisdiction,” the federal department said in a statement. 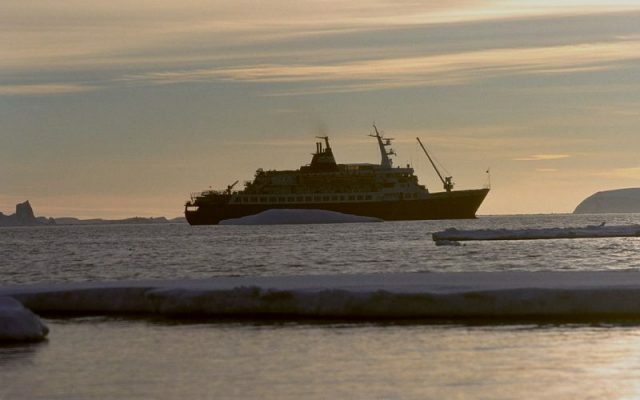 The Irish Coastguard received a signal from the former Arctic cruise ship in March 2013 after two lifeboats reportedly fell off and triggered the warning signals from the ship’s emergency position-indicating radio beacon (EPIRB), according to which the Lyubov Orlova was heading east and was about 700 miles off the coast of Ireland. EPIRB is a device that is designed to alert Search and Rescue forces in the event of an emergency and, as reported by the Irish Examiner, it only signals when it hits the water, which led officials to the conclusion that the ship had probably sunk. A coast guard spokeswoman told the Irish Examiner that a satellite was sent over the location of the last signal from the Lyubov Orlova’s EPIRB but there was no sign of the ship. Although according to most sources the Lyubov Orlova has probably sunk somewhere in the North Atlantic, no one is quite sure what happened. 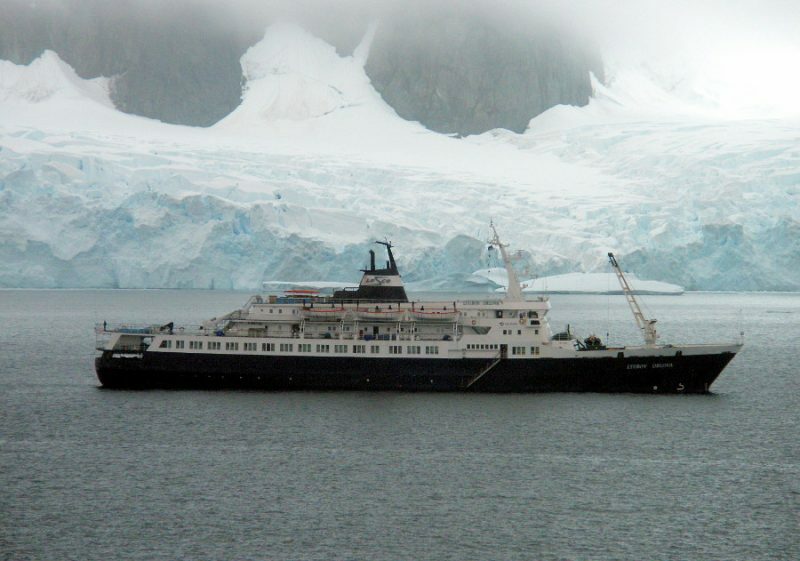 The Lyubov Orlova was designed to withstand rough seas, which means there might be a slight possibility that the ship is still adrift out there.